Mummy, Wife and Chaos: OOOh have to share my find! Make me up! So if you have read a bit about me already you will see that I do love a bit of make up! I am a die hard MAC fan but like everyone else dabble a bit elsewhere and I do love a good cheap goodun! My pet hate is mascara that rubs off under the eye... I can't stand it and it looks shabby. The best I have found so far is the dual end L'Oreal ones you can get. The white end gives a bit of oomph and I use the deepest black to try and get them dramatic. 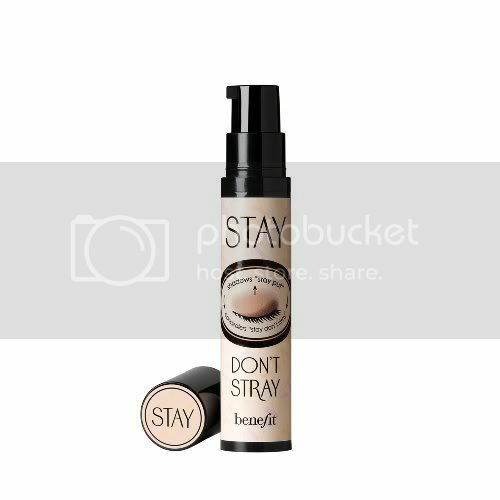 If I'm having a bad day I am loving (at the moment as I go through a lot) Benefits ''Stay don't Stray''. You only need a tiny amount so you get loads out of one pump. Its meant as a eye primer but I get coverage like the ''YSL touche eclat'' so I don't bother with anything concealer wise. Now for the best buy!! Boots own, not to be confused with the No7 products...Natural Collection Pressed Powder. It costs only £1.99! Bargain! I got the neutral and use this to set the eye prep I have done. Its fab buy and for that price why not try it!